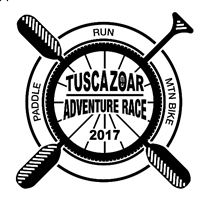 Tuscazoar Adventure Race is a VRRM Timed event. Rugged adventure awaits in this action-packed race! 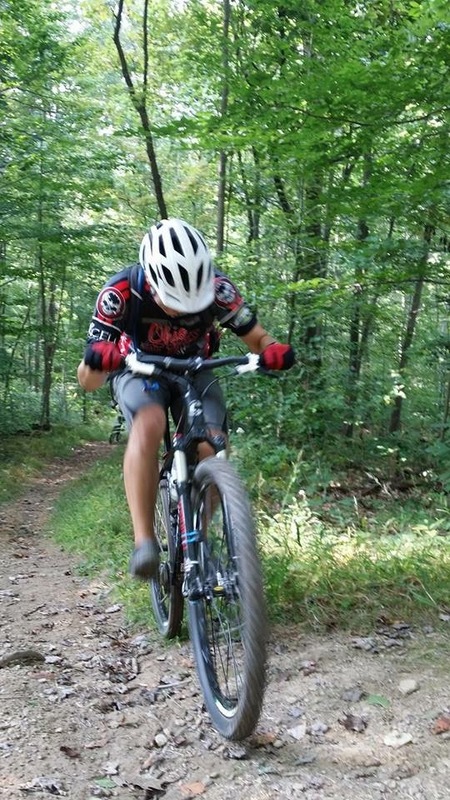 Run, Paddle, and Mountain Bike! Navigate your way around Camp Tuscazoar, the Ohio and Erie Canal Towpath Trail and the Tuscarawas River to see if you have what it takes to earn the title! Team up with a friend or tackle the challenge solo. Racers will cover up to 17 miles over the rugged and beautiful terrain of Northern Tuscarawas County, picking up checkpoints along the way. Be prepared to Run about 6 miles for the first leg, paddle 4 miles for the next leg, mountain bike 7 miles for the final leg, and have the time of your life. Camp Tuscazoar serves scouts and other youth organizations under the guidance of the Camp Tuscazoar Foundation, an Ohio non-profit corporation. Camp Tuscazoar remains a popular outdoor location, drawing large numbers of weekend campers, hikers, bikers and horseriders each year. This is the first year for this race and so we will limit participation to the first 100 participants who have registered and paid. Or check with the Outfitters listed below. Canoe and Kayak rental is available from Trailhead Canoe Livery! -Renters must report to prerace boat drop off to stage their rental boats as well as be fitted for life jackets and paddles. -Post race pickup will be handled by Trailhead Canoe Livery. The paddling transition area/boat drop off is located at Canal Lands Trailhead. Be sure to arrive early to get your boat in a good spot…drop off starts at 6am! We will be using a staggered start and chip timing system. Timing will be from START to FINISH. NO split times for individual disciplines will be provided for the purpose of this race. Mandatory gear will not be checked during check-in. Random checks on gear may be performed during the race. Penalty points will be assessed for any missing items. These items are not all inclusive of items you will need to complete the race. You will be out in the elements for the length of the race. Bring other equipment as appropriate to get you through the event. Mountain bike (mandatory). The terrain will not be paved so just make sure your bike can go on hard packed dirt singletrack trails and gravel roads. Canoes and Kayaks are not provided, you will need to be bring your own. Two-Person teams may use a canoe only. Soloists may use single kayaks or canoe only. You must have paddles, and PFDs. They will be stage with your boat located at the transition area. You will not need to carry paddles or PFDs. Canoes and Kayaks, PFDs and paddles, will need to be transport to the staging area prior to the beginning of the race. Once you exit the river / paddling section you must leave your canoe or kayak, and paddle equipment in the transition area. All boats and gear (PFD and paddle) will be transported back to the race start for you. You will need to portage your canoe or kayak from the transition area to the river access as part of the race (it is an adventure race after all!) Portage distance is roughly 250 to 400 yards based on the location of your boat at the staging area. Drop off your boat early to get a good spot! There are several options for lodging in the area. Camp Tuscazoar offers a variety of options for overnight accommodations. There are cabins, tent sites, RV sites, and also available will be individual bunks for a small fee of $10 per night. You can visit the offerings from Tuscazoar through their website: www.tuscazoar.org. Friday evening from 5 – 7 PM a Spaghetti dinner will be served in Kimble Hall at Camp Tuscazoar. This meal is a fundraiser for the Lions Club at Kent State University/ Tuscarawas Campus. Saturday Morning from 8 – 11 AM a Pancake Breakfast will be served in Kimble Hall at Camp Tuscazoar. Saturday Afternoon- a variety of Food Trucks will be on site beginning at noon for anyone wishing to grab a bite to eat. 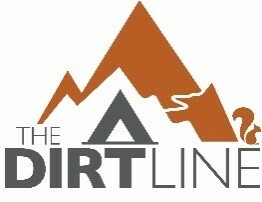 There are also many dining options available listed on the website: www.traveltusc.com under Where to Eat. Questions or concerns- please contact info@tuscazoar.org. Saturday – the US Corps of Engineers will be offering tours of Dover Dam. Registration is required for this option by emailing: info@tuscazoar.org.